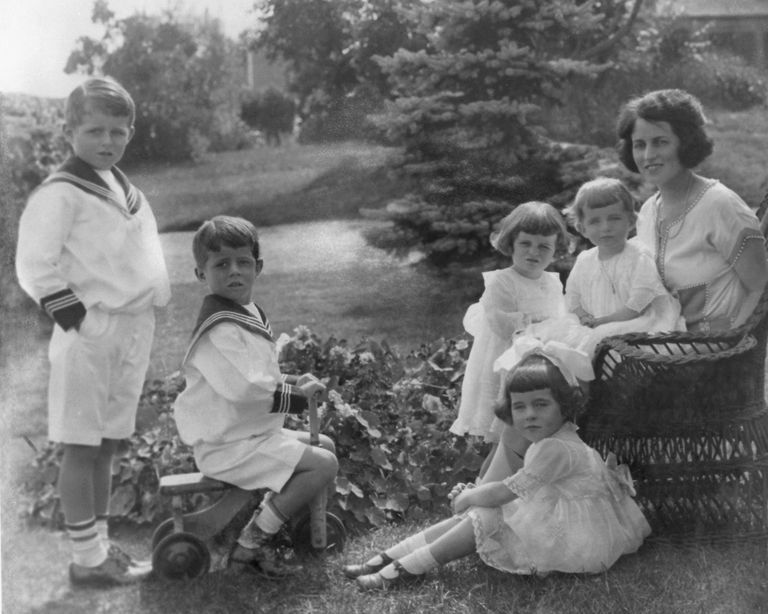 The grandchildren of proud Irish immigrants, Joseph Patrick Kennedy and Rose Elizabeth Fitzgerald are the patriarch and matriarch of the large, influential American Kennedy clan. The parents of nine children - including our 35th President, John F. Kennedy, and two U.S. Senators, Robert F. "Bobby" Kennedy and Edward M. "Teddy" Kennedy - what they gave to our country is immeasurable. Other influential members of the Kennedy clan include First Lady Jacqueline Bouvier Kennedy Onassis; Eunice Kennedy, founder of the Special Olympics; Robert Sargent Shriver, first director of the Peace Corps; Maria Shriver, TV journalist and former wife of Arnold Schwarzenegger; Hollywood star, Peter Lawford; Kathleen H.
This diagram shows the ancestry of Joseph Patrick Kennedy, patriarch of the Kennedy family and father of John Fitzgerald Kennedy and Robert Joseph Kennedy.